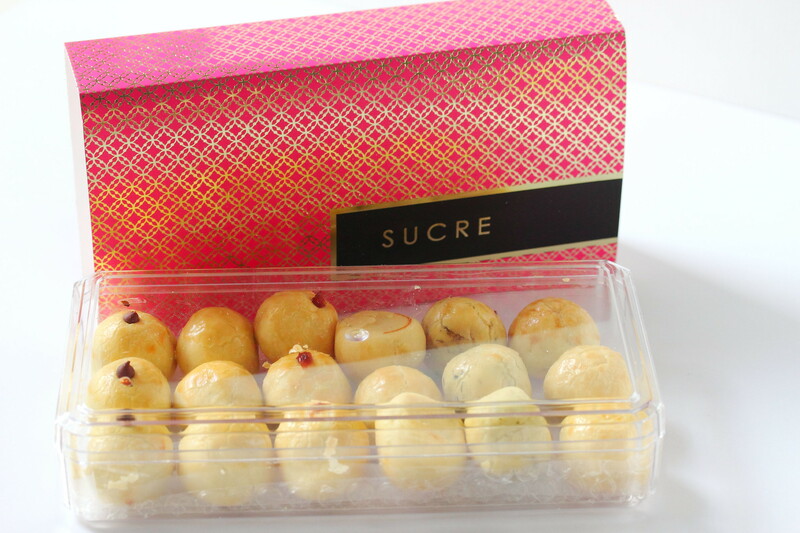 SUCRE is a creator of Singapore artisanal pastries with design packaging. For the year of the goat, SUCRE has launched its 8 Happiness Pineapple Truffles and Artisanal Cookies. 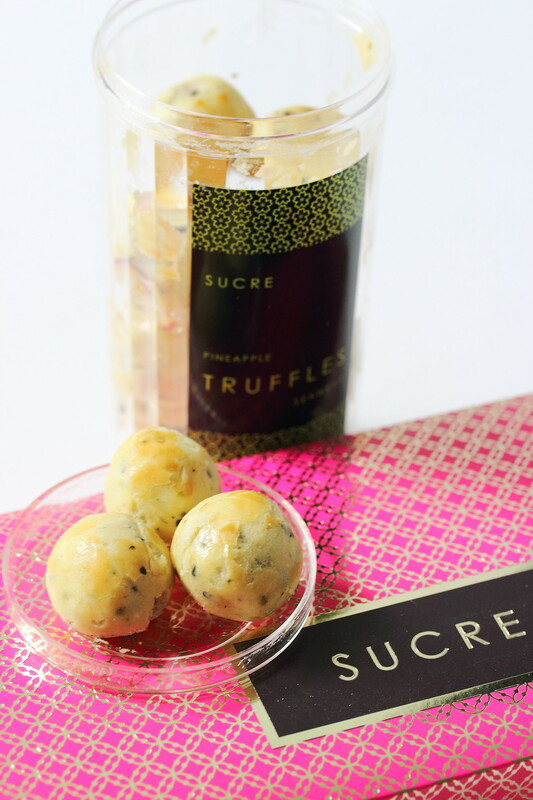 For this lunar new year, SUCRE has created 4 new Pineapple Truffles which are all made in Singapore. The 4 new creations are Seaweed, Cheese Lite, Blueberry and Raspberry. The Cheese Lite Pineapple Truffle is made from the finest Australian Cheddar cheese, resulting in a butter pastry. The Seaweed Pineapple Truffle incorporates the finest Japanese seaweed into its aromatic butter pastry. The Blueberry and Raspberry contains pineapple fillings blended with 100% pure blueberry and raspberry puree respectively. 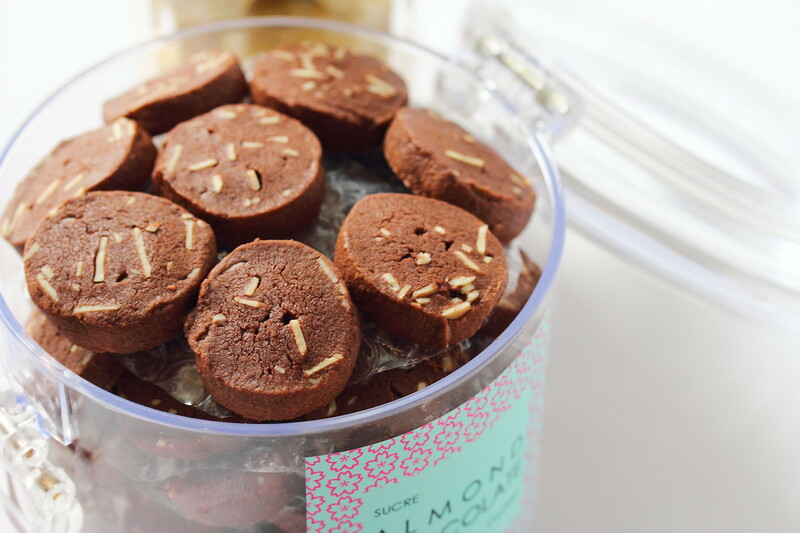 Prices for Pineapple Truffles range from $17.80 for each cylinder in the Gourmet Tall Collection (18 pieces X 16g truffle) to $24.80 per box (18 pieces x 25g truffle) from the Premium Large Collection. 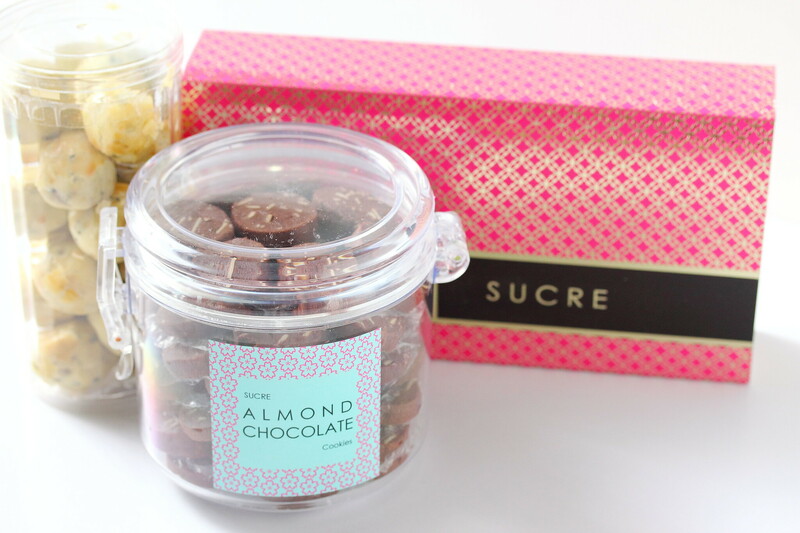 SUCRE also launches 4 flavours for its 100% handmade Artisanal Cookies. 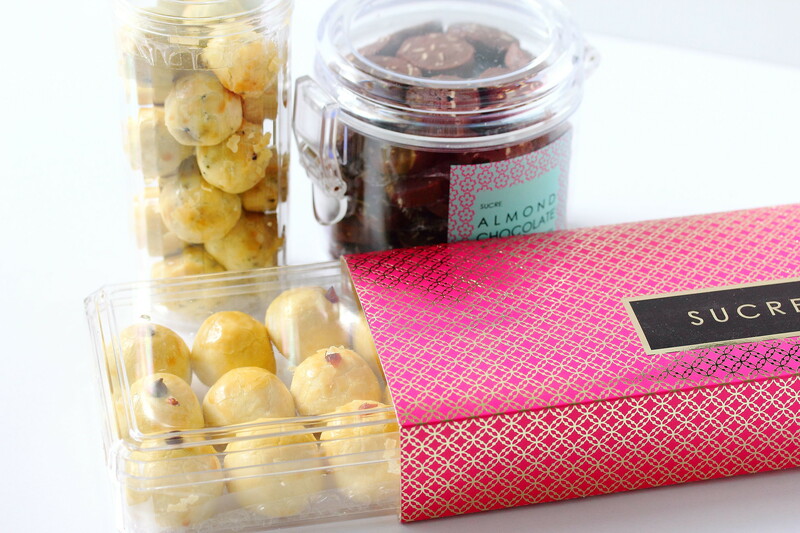 These flavours include Almond, Almond Chocolate, Green Bean and Macadamia & Cranberry. The green bean and almond flavours are both ideal for vegetarian. Prices for Artisanal Cookies range from $19.80 to $21.80. Are they selling anywhere else? Don't think so but you can order online.